This was the post I was meant to write on Saturday, but British Telecom put paid to that. However this morning their nice young man came to fix our telephone line, blown down in the cobweb-clearing gusts of horizontal rain and warm but blustering wind we’ve had lately. 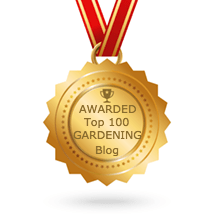 So I can, at last, and only two days late, join in with the first Garden Bloggers’ Bloom Day of the year, hosted by May Dreams Gardens. Actually after all that lengthy preamble there aren’t really all that many flowers to talk about this month. I used to be a on the committee of a dauntingly energetic branch of Plant Heritage – a charity which has much to be proud of and without which the range of plants in our gardens would be a pale shadow of their current splendour – and they did a competition each year for the most plants in flower on January 1st. The record currently stands somewhere around 30. I can manage three. is it a flower? or is it a berry? Never could make up my mind. Pretty, though. And who knows what this was. A member of the carrot family, obv, but angelica or Queen Anne’s Lace? Or even a carrot? Who knows. But I’m leaving them there: rimed in frost they are sublime. But the limelight at this time of year, in my garden at least, goes not to the flowers but to the berries, so if you can indulge me a little I’m going to cheat: here are the stars of my show this month. And snowberries: Symphoricarpos albus. So happy here they’re growing wild in the hedgerows. You have just reminded me that my ericas are in bloom so at least there is some teensy bit of colour in my garden. My rosa glauca normally has loads of rose hips but after some severe pruning last year it has only got one small but very bright and lovely little bunch. Love your rosehips and berries, they are rightly the stars of the garden at this time of year.